Question: I’m curious to know: what does the Talmud say about bad things that happen to good people? One important point is that we physical people have a very limited perspective on what are “bad things”, and our view of “happen” is limited to what we think we see in a small frame of time. But this topic does need a lot of explanation. How are sins forgiven without blood sacrifice? Question: The shedding of blood for atonement for sin, the transgressing of G-d’s commandments, runs throughout the Hebrew Bible. How do you respond to this? Answer: You have pointed out a deception – the fabricated concept that the Jewish service of sacrifices to G-d in the Holy Temple brought them forgiveness from sin. That is false, and it is a distortion of the true meaning of the Hebrew Scriptures. 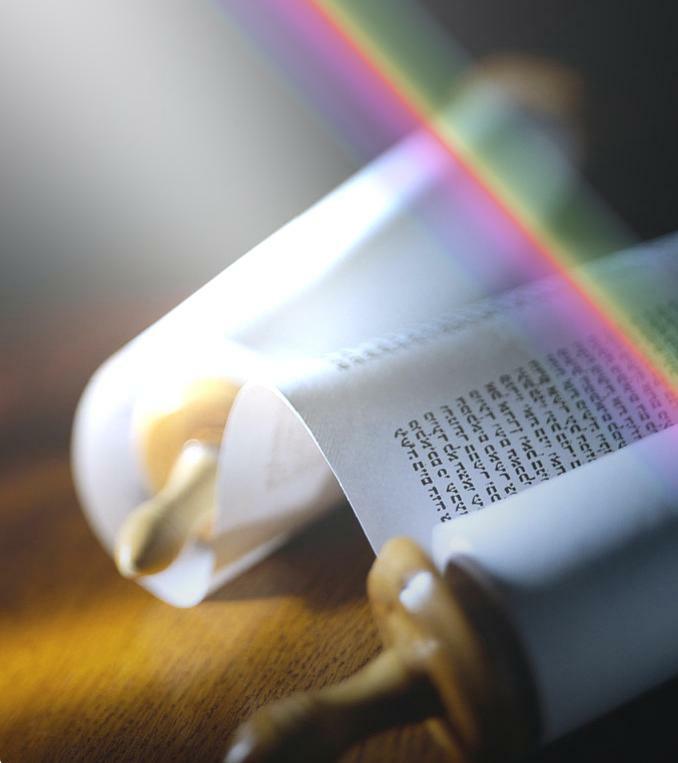 What does “new covenant” mean in Jeremiah 31? 31. not like the covenant that I sealed with their forefathers on the day that I took hold of their hand to take them out of the land of Egypt, for they abrogated My covenant, although I became their Master, says the L-rd. 32. For this is the covenant that I shall seal with the HOUSE OF ISRAEL after those days, says the L-rd; I will place my Torah within them and I will write it onto their heart; I will be their G-d and they will be a people for Me. 33. They will no longer teach – each man his fellow, each man his brother – saying, “Know the L-rd,” For all of them will know Me, from their smallest to their greatest, says the L-rd, when I will forgive their iniquity and will no longer recall their sin. Should I punish or harm myself for doing a sin? Do miscarried babies have souls? What happens? Question: We lost our unborn baby, and now we are very sad about this. In regard to such small unborn babies, do they already have a soul given from G-d? And what happens to them after they died? Is there a possibility to say a special prayer to say goodbye to our baby? (1) Do unborn babies already have a soul given from G-d? What is the Gentiles’ purpose? Are G-d’s eyes always upon the Promised Land? Am I expected to sacrifice animalistic desires? What’s the Jewish outlook on the Book of Jonah? Does G-d want a dwelling place in this world? What is the nature of G-d and life’s purpose? Questions: I was hoping for your help. I have so many questions, a spiritual crisis. I am overwhelmed by competing media/input and don’t know what way to turn. I need answers to why we are here? What is the purpose of life and the nature of G-d? I need insight. Any assistance you could offer would be much appreciated. Response: The first thing is, don’t worry, and don’t be overwhelmed! The answers you are seeking are known and available, so you can rest assured about that. Is Noahide theology the same as “natural laws”? Question: I’ve always thought that Noahic Covenant theology was the equivalent of Natural Law theory. Isn’t it why we should be united in affirming the U.S. Declaration of Independence and the Pledge of Allegiance, because ethical monotheism is shared ground? Are G-d’s attributes masculine or feminine? Why do you not write “G-O-D”? It is spelled out in Jewish books of Torah and prayer. In practical terms, this means in part that we should take precautions so that printings or inscriptions of names of G-d will not come to be “desecrated” – erased, torn, destroyed, or otherwise treated disrespectfully. This applies to a name of the One True G-d in ANY language. Books of scriptures or prayer books are usually treated with proper respect, so it is not a problem to print a Divine name in such books. But other types of printings could easily come to be thrown away, so in that case it is best if a Divine name of G-d is not written out completely. Then the real forming of the holy name is within our mind, and not on the actual page. More generally, it is proper to shown this respect for G-d’s printed names, because it is an expression of the awe and fear of G-d which we should have. If one has a document that contains a name of G-d but which is no longer needed, it is best to set it aside in a safe place so that it will not be thrown into the garbage, etc. When one accumulates a number of such items and they need to be disposed of, it is considered to be appropriate to respectfully bury them, so they will decompose within the ground. Although an image on a computer monitor is not considered a permanent inscription that needs to be guarded, the concern is with the pages that may be printed out. If one repents and then sins again, is a further repentance accepted? Is it a lack of faith if one goes to doctors?